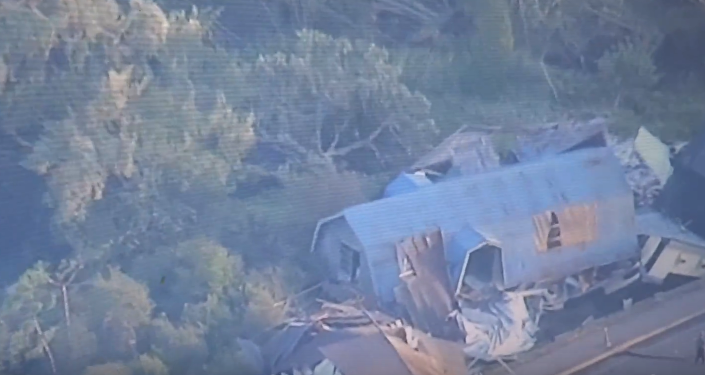 TOKYO (Sputnik) - Two people died because of the earthquake in Hokkaido, Japanese Chief Cabinet Secretary Yoshihide Suga said on Tuesday. A magnitude 6.7 earthquake was registered at 18:08 GMT Wednesday some 67 kilometers (42 miles) from the city of Sapporo on Hokkaido Island. The quake's epicenter was at a depth of 37 kilometers. "Two people were killed in the earthquake in Hokkaido," Suga told a news conference in Tokyo. In addition, 125 people are injured and 39 are missing. The earthquake also triggered a large-scale blackout on the island, leaving 2.95 million homes without electricity. According to Suga, the recovery time is unknown because of the breakdown of equipment at power plants. All four thermal power plants on the northern Japanese island of Hokkaido were shut down after the earthquake, Japanese Economy Minister Hiroshige Seko said Thursday. 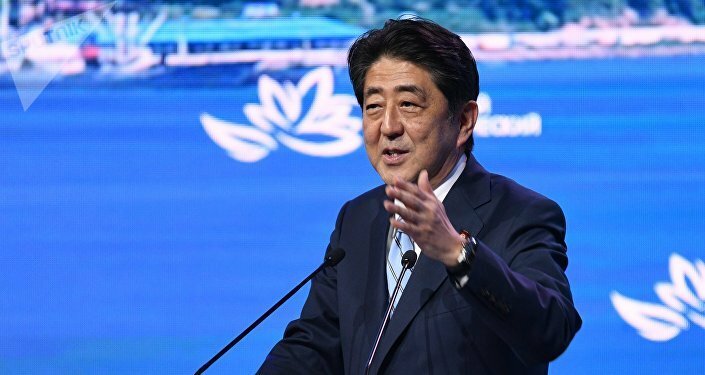 "TPP Tomato-Atsuma was stopped, its shutdown broke the balance of consumption and supply of electricity, which led to an automatic shutdown of the remaining three stations," the minister said at a briefing. External power supply was cut off at Japan's Tomari nuclear power plant after the earthquake, local media reported. After the loss of external power sources, the spent nuclear fuel pools of the Tomari NPP in Hokkaido are being cooled by an emergency power supply system, the Kyodo news agency reported, citing the Nuclear Regulation Authority. Twenty thousand members of the self-defense, police and fire department forces are participating in rescue operations and delivering assistance to earthquake-affected areas on the island, Suga noted. The building of the new Chitose airport in Hokkaido is closed, all flights are canceled due to the earthquake, the administration of the airport reported. As a result of the earthquake, the building of the airport was damaged: the roofing of ceilings and walls partially collapsed, a leakage of water from pipes was evident. At the same time, runways were not damaged. All flights in the airport are canceled. 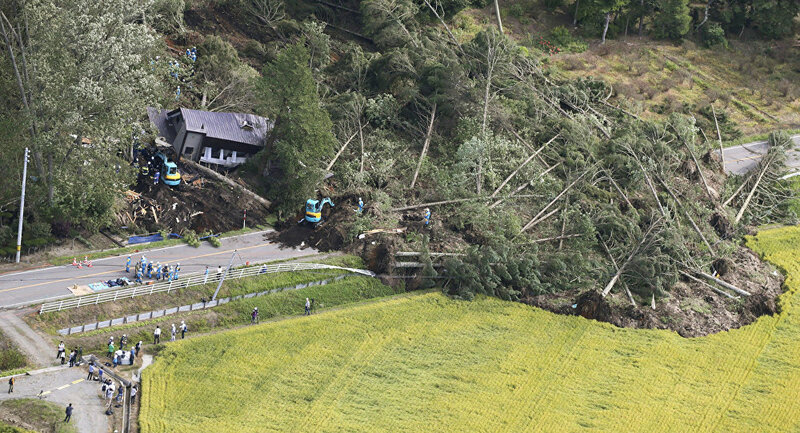 During the week, strong aftershocks will continue in Hokkaido, a spokesman for the Japan Meteorological Agency said at a press conference. As many as 44 aftershocks have already occurred in the region over 10 hours after the earthquake.